Atomix is the company that brings us the super popular DJ software known as Virtual DJ. 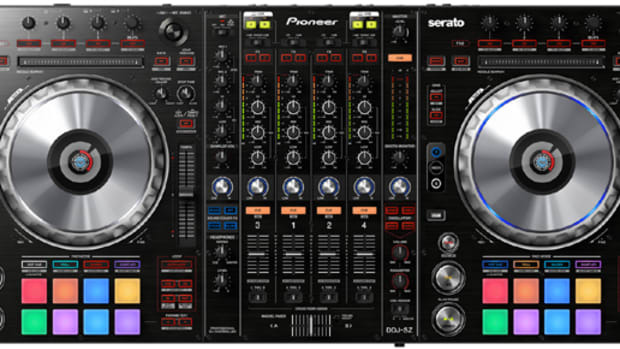 Virtual DJ has been making waves among Digital Vinyl users recently when they announced that their new algorithm for their DVS engine is as good as any other software out there and they&apos;ve been challenging DJ&apos;s to see if they can break it. Atomix has started a new video web series called Power Room that will feature Virtual DJ being used and abused by some of the best DJ&apos;s around. Virtual DJ has been making waves among Digital Vinyl users recently when they announced that their new algorithm for their DVS engine is as good as any other software out there and they've been challenging DJ's to see if they can break it. Atomix has started a new video web series called Power Room that will feature Virtual DJ being used and abused by some of the best DJ's around. In this seventh (part 2) episode, the Atomix team take the Virtual DJ DVS setup to Canada to see DMC DJ All Good to get his impressions of the new vinyl engine in VDJ 8. Atomix is the company that brings us the super popular DJ software known as Virtual DJ. Virtual DJ has been making waves among Digital Vinyl users recently when they announced that their new algorithm for their DVS engine is as good as any other software out there and they've been challenging DJ's to see if they can break it. In this seventh part 3 episode, the Atomix team take the Virtual DJ DVS setup to Canada on the road to the DMC Canadian championships to see DMC champ DJ !Kryme Won to get his impressions of the new vinyl engine in VDJ 8. Virtual DJ has been making waves among Digital Vinyl users recently when they announced that their new algorithm for their DVS engine is as good as any other software out there and they've been challenging DJ's to see if they can break it. Atomix has started a new video web series called Power Room that will feature Virtual DJ being used and abused by some of the best DJ's around. In this third Episode, the Atomix team take the Virtual DJ DVS setup to South Carolina to see DJ Eyecon to see his impressions of the new DVS engine in VDJ 8. Atomix is the company that brings us the super popular DJ software known as Virtual DJ. Virtual DJ has been making waves among Digital Vinyl users recently when they announced that their new algorithm for their DVS engine is as good as any other software out there and they've been challenging DJ's to see if they can break it. In this seventh episode, the Atomix team take the Virtual DJ DVS setup to Canada on the road to the DMC Canadian championships to see DMC champ DJ Versatile to get his impressions of the new vinyl engine in VDJ 8. Virtual DJ has been making waves among Digital Vinyl users recently when they announced that their new algorithm for their DVS engine is as good as any other software out there and they've been challenging DJ's to see if they can break it. Atomix has started a new video web series called Power Room that will feature Virtual DJ being used and abused by some of the best DJ's around. In this fifth episode, the Atomix team take the Virtual DJ DVS setup to Miami to see DJ Bounce (the head instructor at Scratch DJ Academy) and get his impressions of the new engine in VDJ 8. Virtual DJ has been making waves among Digital Vinyl users recently when they announced that their new algorithm for their DVS engine is as good as any other software out there and they've been challenging DJ's to see if they can break it. Atomix has started a new video web series called Power Room that will feature Virtual DJ being used and abused by some of the best DJ's around. In this fourth Episode, the Atomix team take the Virtual DJ DVS setup to Atlanta to see DJ Jaycee to get his impressions of the new DVS engine in VDJ 8. Atomix is the company that brings us the super popular DJ software known as Virtual DJ. 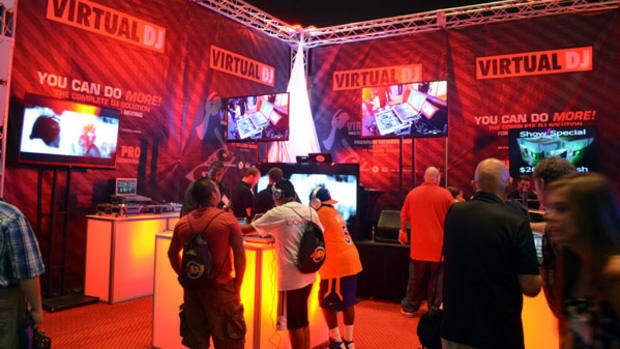 Virtual DJ has been making waves among Digital Vinyl users recently when they announced that their new algorithm for their DVS engine is as good as any other software out there and they've been challenging DJ's to see if they can break it. Atomix has started a new video web series called Power Room that will feature Virtual DJ being used and abused by some of the best DJ's around.